Adorned with a sleek beveled top and Ebony inlay, our Palmina Nightstand with Door is the perfect addition to an updated, mission-style bedroom. Store your bedside essentials with the dovetailed drawer and spacious cabinet of our Palmina Nightstand with Door. Full extension, soft close slides ensure ease of access to and controlled closure of your solid wood nightstand's drawer. 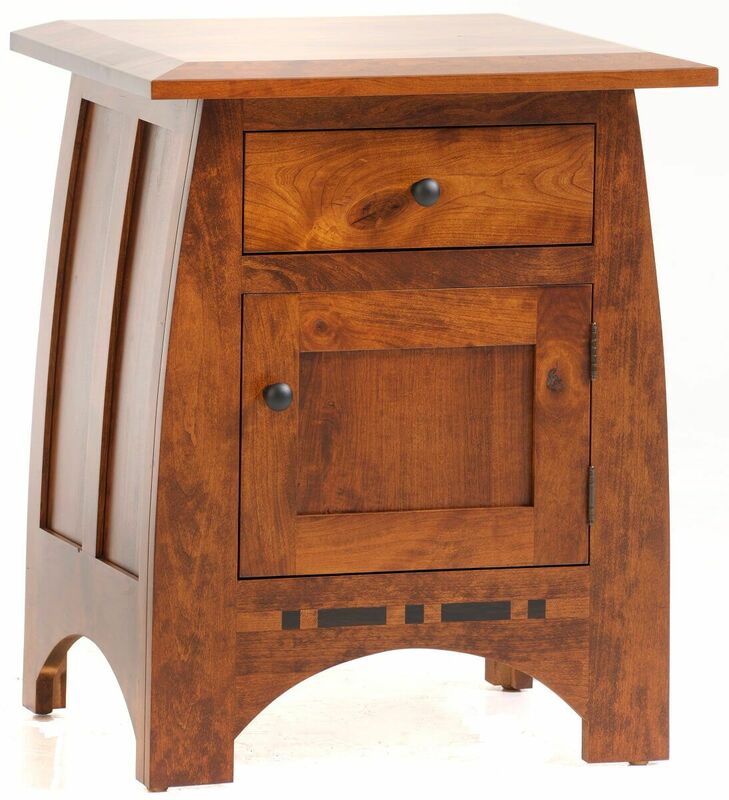 To obtain the pictured look on your own Palmina Nightstand, choose Rustic Cherry with our Burnished Honey finish. Unsure about your stain selection? Request up to four samples at checkout and make your stain decision once they arrive.